Our locksmiths are always prepared to rekey locks in Oakville, Ontario. We are out to save you money. Our service is fast and accurate. 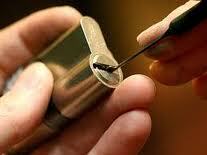 We provide the complete package of lock and key services. You can trust our experts to respond to your call with urgency. We promise to use all our skills and experience to help you. We guarantee every service we provide. Providing quality customer care is our number one priority. You can trust our friendly techs to provide superb rekey service at a fair price. There is no reason to replace a perfectly good lock. There are only a few reasons to replace your locks. If they are damaged, outdated or to enhance security. Sometimes employees quit without turning in their key. Roommates move out and do the same thing. These are not good reasons to replace a good product. We can rekey locks to fit a different set of keys. Problem solved! You can trust Locksmith Oakville to replace your keys quickly. We use a quality key cutting machine. Our experts can produce keys of any type. We will replace the key to your home, business or auto. You should choose our local company for all your key replacement service needs. Many businesses use some type of master key system. Our locksmiths will provide dependable service for these systems. We have a lot of experience in this area. Our rates are affordable. We always complete the job quickly and efficiently. You can depend on us to provide the great service you need. We offer a wide range of locksmith services designed to meet your expectations. Our experts will make sure you get the service you need. Do not settle for an amateur when you need a pro. Get in touch with our local company to rekey locks in Oakville.